Buy your ticket online today! 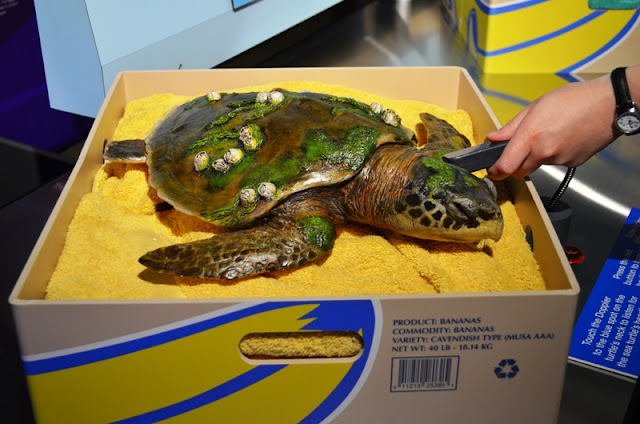 Last winter, the New England Aquarium’s Rescue and Rehabilitation made national news when more than 700 sea turtles came through our doors needing help. These cold-stunned turtles were found on the beaches of Cape Cod, brought to our rehabilitation facility in Quincy and were nursed back to health by our knowledgeable staff and volunteers. Visitors can try their hand at feeding sea turtle patients. 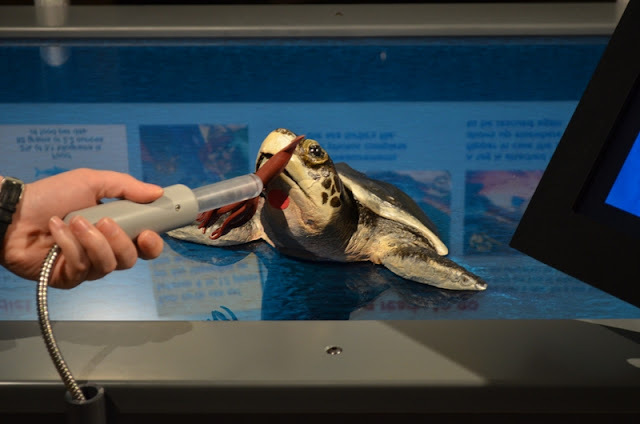 This summer, visitors get to experience sea turtle rescue with our new interactive hospital. 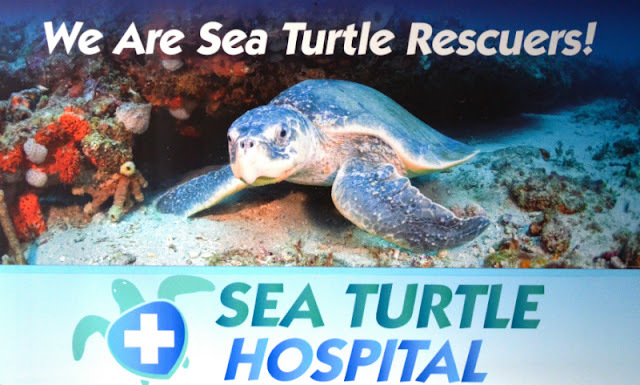 Have you ever wanted to see what it’s like to rehabilitate a turtle and be part of the life-saving crew? Now’s your chance to join turtle rescue team! This sign will greet you when you arrive. 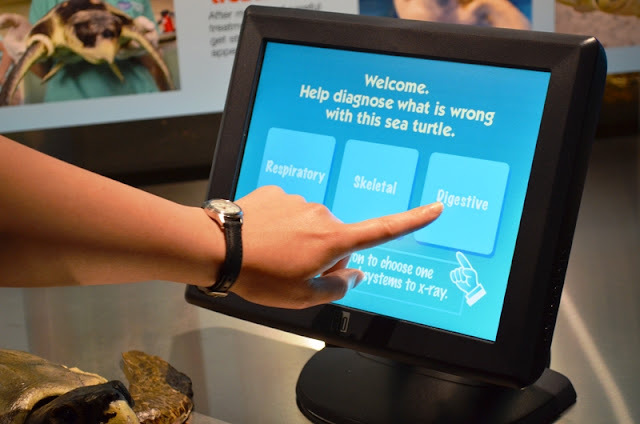 Upon entering the interactive hospital, you will receive a quick overview of why sea turtles strand...but then it's straight to work! Turtles are brought up from Cape Cod to the Aquarium's Quincy facility in banana boxes, which are the perfect size for these small turtles, and nestled in a towel for safe transport. As their body temperature drops, a turtle's heartbeat may slow to one beat per minute! Pick one of the three turtles and see if you can find a heartbeat. Use the doppler to listen carefully…did you find it? 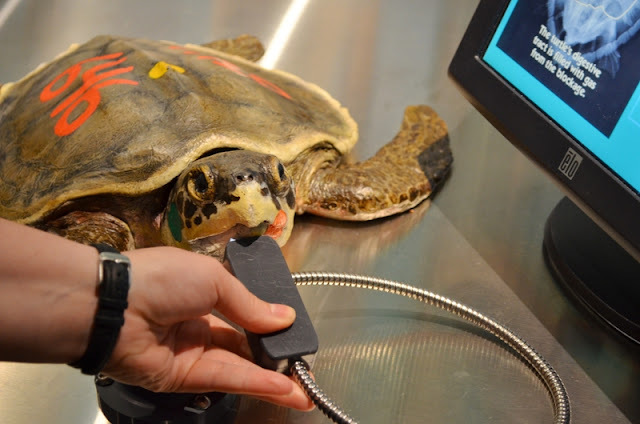 Next, listen to how the heartbeat of a cold-stunned turtle compares to a healthy turtle. Quite a difference! Once a heartbeat has been established, it’s on to diagnostics. First, a rescued turtle is stabilized with fluids and slowly brought up to the right temperature. Then the hard work of identifying all of a turtle's issues begins. Some turtles are just cold and dehydrated; some come in with other issues. Scan the respiratory, digestive and skeletal systems of each turtle to see what's wrong. 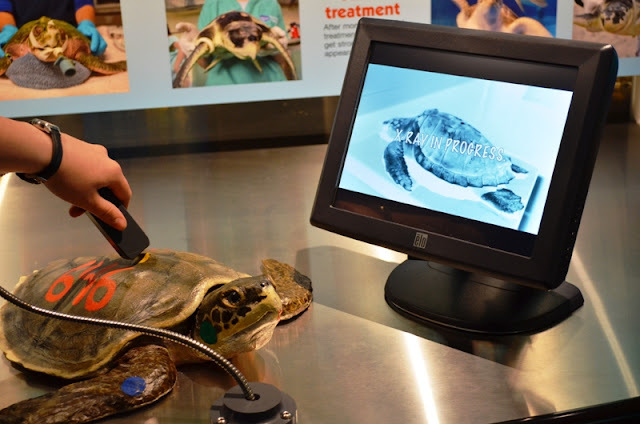 Now that you have a diagnosis, learn what treatment the turtle needs to get better and see the Aquarium staff in action as they work to save animals and get them on the road to recovery. Now that the turtles are on the mend, turn your attention to the next rehabilitation station. After you’ve been sick, what do you want to do when you feel better? You want to eat, of course! 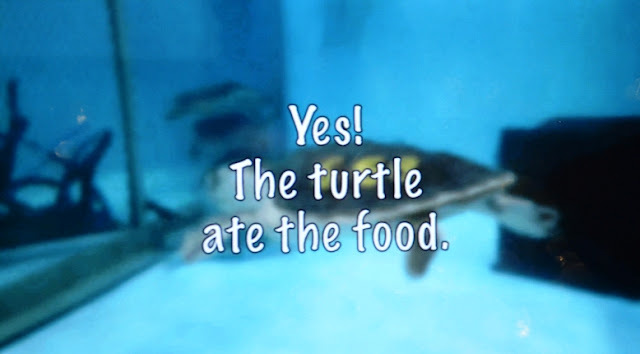 Turtles need to eat on their own before they can be released as they will need to forage successfully to survive. At the feeding station, offer a squid snack to the hungry turtles. You may try to feed a turtle, and it won't eat. Try again, however, and see how their appetites grow over time! One bite closer to being released to their ocean home! Thanks to the work that YOU did alongside our Aquarium team, these turtles get a new lease on life. But this is just one piece of the turtle rescue team puzzle. The job isn’t done. 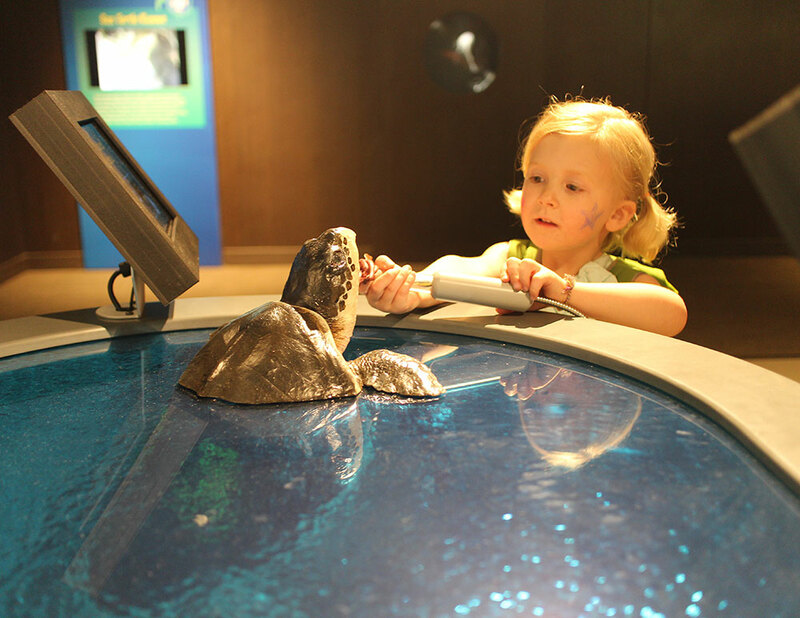 Throughout the Aquarium, you will see what more we all can do to help sea turtles, as well as other species of turtles. Whether it is single-use plastics or climate change, turtles face challenges in their environment, both across the world and in our own backyards. Thankfully, the Turtle Rescue Team is growing, and together we can help solve these challenges to ensure a successful future for turtles…and humans! How I can join it? Thanks for your interest, Graciela! We're looking to recruit communities around the world to help turtles. There are many things you can do to be a turtle rescuer! Reduce plastic pollution in the ocean by using reusable water bottles and cloth tote bags when you shop. Reduce the impact of climate change by taking public transportation or riding your bike, when possible. 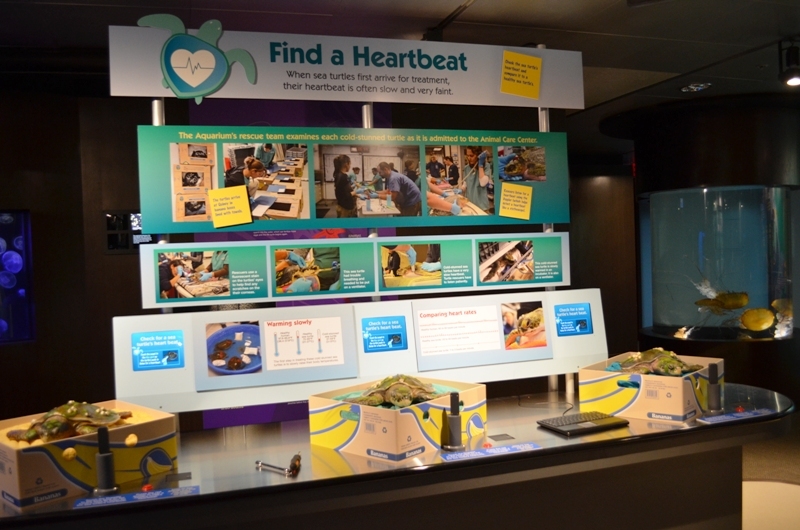 And visit our exhibit to learn how our rescue team helps turtles every year!